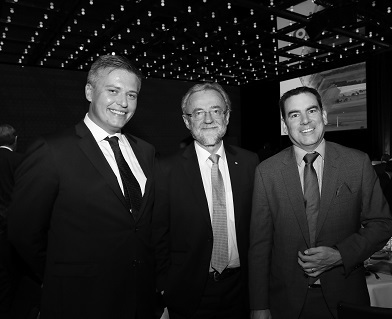 Leaders from across the national infrastructure sector gathered at the 2017 Annual Infrastructure Oration and National Infrastructure Awards gala dinner, held in Sydney. 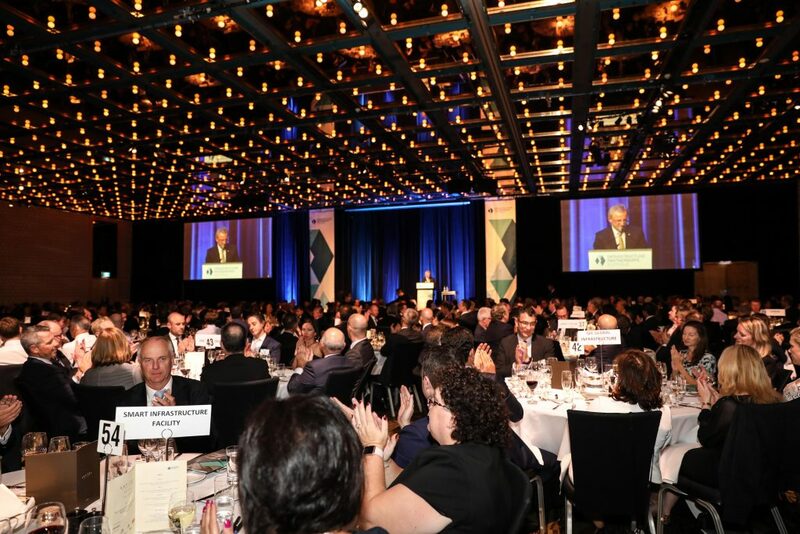 This year’s Oration was delivered by Gary Banks AO – who was the inaugural Chair of the Productivity Commission, and is one of the most respected and experienced public policy reformers in Australia, having developed many of the reforms that have refined our infrastructure markets. 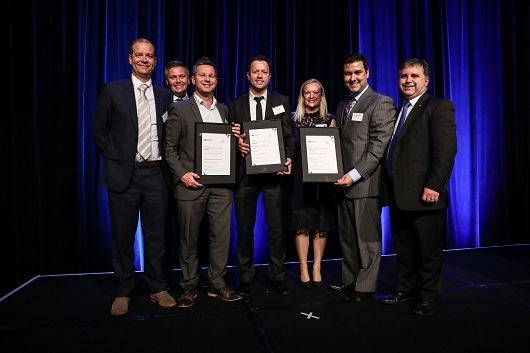 The prestigious Project of the Year was awarded to the NSW Government and Darling Harbour Live consortium and partners, for the International Convention Centre Sydney. Mr Mike Stapleton | Acting Director-General, Department of Transport and Main Roads Queensland. IPA thanks our Oration Sponsor, MUFG and our Category Sponsors: NSW Ports; Infrastructure Australia; MUFG John Holland; NSW Department of Premier and Cabinet; NSW Treasury; Federal Department of Infrastructure and Regional Development; and Calibre. Darling Harbour Live Consortium: AEG Ogden, Capella Capital, First State Super, Hostplus, Lendlease, Spotless; Advisian, Clayton Utz, Herbert Smith Freehills, KPMG and NSW Government. 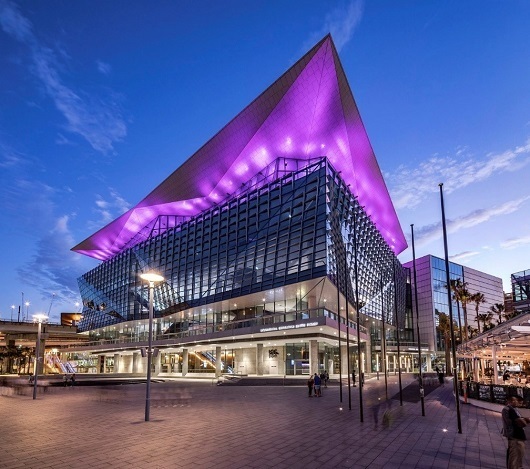 Australia’s Infrastructure Project of the Year was awarded to International Convention Centre Sydney (ICC Sydney), the largest combined exhibition, convention and entertainment precinct in Australia. In choosing ICC Sydney, the Judging Panel recognised that despite the challenges of delivering a Public Private Partnership of this size and complexity, in a highly urbanised environment, the Darling Harbour Live consortium delivered the project on time and on budget, with a focus on quality, safety and innovation in design. The $1.5 billion project is the largest combined exhibition, convention and entertainment precinct in Australia, and forms part of the $3.4 billion, 20 hectare redevelopment of Darling Harbour. The consortium was required to complete demolition and construction works within 30 months, which required strong partnerships between the public and private sectors. Former winners of the Project of the year include Barangaroo Reserve, Legacy Way, Regional Rail Link, NSW budget reform process including the refinancing of Sydney Desalination Plant, the New Royal Children’s Hospital in Victoria and the Gateway Upgrade project. A consortium comprising of: AustralianSuper, IFM Investors; Deutche Bank, NSW Treasury and UBS. The NSW Government’s signature asset recycling programme was interrupted in August 2016, when the Commonwealth’s Foreign Investment Review Board rejected the two foreign-led consortia bidding for Ausgrid, without warning and after final bids were received. With the electricity transactions substantially underpinning NSW’s record infrastructure investment programme and fiscal strategy, the state was faced with the unattractive prospect of restarting the lengthy tender process for the state’s largest distribution business. The Judging Panel recognised this project for the substantial sale price achieved, despite the regulatory uncertainty and rejection of both foreign-led bidders. Exemplar Health Consortium comprising of: Capella Capital, First State Super, Lendlease, Siemens, Spotless; Clayton Utz, Gilbert + Tobin, Herbert Smith Freehills, KPMG and Victorian Department of Health and Human Services. The $650 million new Bendigo Hospital has the capacity for 372 in-patient beds, 11 new operating theatres, a cancer centre, four radiation therapy bunkers and an 80-bed integrated psychiatry unit. Under the Private Public Partnership, Exemplar Health will maintain the hospital for 25 years. The Judging Panel recognised the strong relationship between the Victorian Government and Exemplar Health, whereby both parties worked together as ‘one team’, which was a major driver for the successful outcomes achieved by the Bendigo Hospital Project. Lonsdale consortium comprising of: Future Fund, Global Infrastructure Partners, OMERS, QIC; Gresham Partners and Credit Suisse (Joint Financial Advisors to the Lonsdale Consortium), Morgan Stanley and Flagstaff Partners (Joint Financial Advisors to the Victorian Government), Victorian Department of Treasury and Finance. The Victorian Government leased the Port of Melbourne for 50 years to the Lonsdale Consortium, comprised of the Future Fund, Global Infrastructure Partners, OMERS and QIC in September 2016. The $9.7 billion transaction is the largest transport infrastructure privatisation in Australia’s history. Proceeds from the lease have been hypothecated into the Victorian Transport Fund, which is funding projects such as the Level Crossing Removal Project, the Melbourne Metro and the Western Distributor. The Judging Panel recognised that leasing the largest container port in the country was a significant undertaking, and noted that Morgan Stanley undertook extensive stakeholder consultation to shape the political and regulatory discussions surrounding the transaction. Additionally, by securing the commercial terms of Melbourne’s second container port, the Victorian Government was able to achieve a substantial transaction price. The Plenary Health Consortium comprising of Grocon, Honeywell, PCL Construction, Plenary Group; Clayton Utz, EY, Herbert Smith Freehills, MinterEllison, Victorian Department of Health and Human Services, Victorian Department of Treasury and Finance. The $1 billion Victorian Comprehensive Cancer Centre is a purpose built centre of excellence for cancer research, treatment, education and care. The facility is home to cancer research, clinical services and educational facilities for the Peter MacCallum Cancer Centre, Melbourne Health and the University of Melbourne. The Judging Panel shortlisted the VCCC for Project of the Year because of the community value created through the development of a world-class research precinct, noting the hospital’s on-time, on-budget delivery and continued smooth operation. 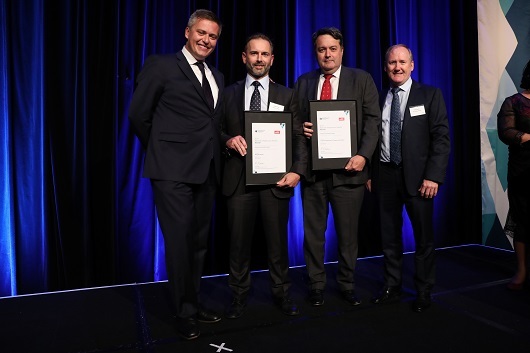 IPA thanks NSW Ports for sponsoring the 2017 Project of the Year Award. 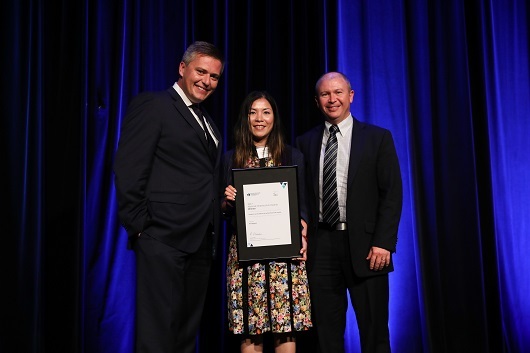 The Women’s Achievement in Infrastructure Award was presented to An Nguyen from the Victorian Department of Treasury and Finance, recognising her long-term and outstanding contribution to the sector, ongoing leadership and her achievements. An was recognised by the Judging Panel for her contribution to every major Victorian infrastructure project in recent memory. In her role at the Department of Treasury and Finance, An is currently leading the $1.8 billion Outer Suburban Roads Public Private Partnership, which is at the cutting edge of global models to make transport networks better and more efficient, itself recognised in tonight’s awards. An also works across both the Western Distributor and City Tulla Widening projects, and other major social, utility and economic projects. Throughout more than a decade with Victorian Treasury, An has developed an outstanding reputation for her commercial acumen, innovative thinking and professionalism. Ms Nguyen joins a distinguished list of previous winners, including Leilani Frew, Thao Oakey and Kerrie Mather. IPA thanks Calibre for sponsoring the Women’s Achievement in Infrastructure Award. The $524 million Burke North McKinnon Centre Level Crossing Removal Project was the first package of works for the Victorian Government’s Level Crossing Removal Programme, and involved the removal of railway crossings at Burke Road, Glen Iris; North Road, Ormond; McKinnon Road, McKinnon; and Centre Road, Bentleigh. 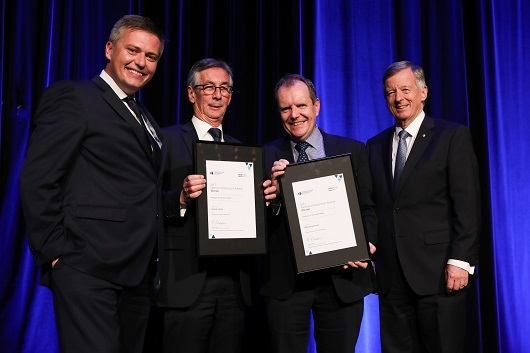 The Judging Panel recognised John Holland’s critical role in delivering one of Australia’s fastest grade separation projects on budget. Delivered in only 14 months from project award to completion, it was six month ahead of schedule. The Judging Panel also recognised that this project set the benchmark for removing railway level crossings in Australia, with effective management of the complex brownfield sites surrounded by major arterial roads and busy railway lines, and through the demonstration of a comprehensive community and stakeholder engagement plan. The $630 million new Bendigo Hospital has the capacity for 372 in-patient beds, 11 new operating theatres, a cancer centre, four radiation therapy bunkers and an 80-bed integrate psychiatry unit. Under the Public Private Partnership, Exemplar Health will maintain the hospital for 25 years. Bendigo Hospital is the largest regional hospital development in Victoria’s history, and will more than double the size of the existing facility to meet the urgent needs of the regional community’s growing and ageing population now and into the future. The Judging Panel recognised Lendlease’s role in ensuring that the project was delivered in a timely fashion, with technical completion of the hospital reached one month ahead of schedule. The $1.5 billion International Convention Centre Sydney (ICC Sydney) is the largest combined exhibition, convention and entertainment precinct in Australia, which includes 40,000 square metres of exhibition space, an event deck of 5,000 square metres, a theatre with a seat capacity of 8,000 and a grand ballroom with banqueting space for 2,000 people. The Judging Panel recognised that despite the challenges of delivering a PPP of this size and complexity in a highly urbanised environment, the Darling Harbour Live consortium delivered the project on time and on budget, with the facility opening to the public eight days before the specified completion date in the contract. The $306 million Wynyard Walk project delivered a fully-accessible pedestrian link between Sydney’s Wynyard transport hub to the Barangaroo waterfront, transporting commuters in approximately six minutes, halving the current street level time. The Judging Panel recognised the complexities associated with construction in a live CBD environment with a direct interface into Wynyard Station. The panel commended CPB Contractors for completing the project on time and on budget without interrupting transport operations, despite challenges including unforeseen geotechnical conditions and undocumented services and heritage funds. IPA thanks MUFG for sponsoring the Contractor Excellence Award. 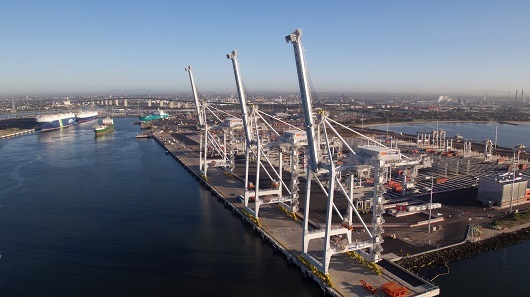 The Webb Dock East International Container Terminal at the Port of Melbourne is a fully automated international container terminal with automated operations from gate to quay side. The project involved the installation of robotic ship-to shore cranes to deliver significant extra capacity and efficiency to support continued growth at the Port of Melbourne. 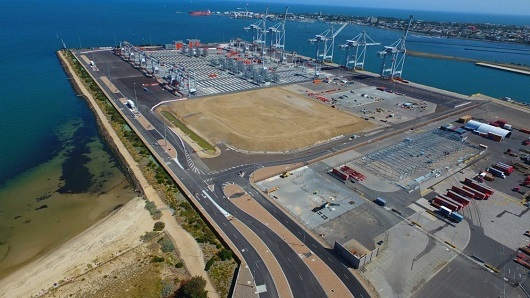 The Victorian Government awarded Victoria International Container Terminal a 26-year contract to design, build, finance and operate the terminal in May 2014. Victorian International Container Terminal engaged AECOM and BMD Constructions as principal engineering design firm and principal civil contractor respectively. 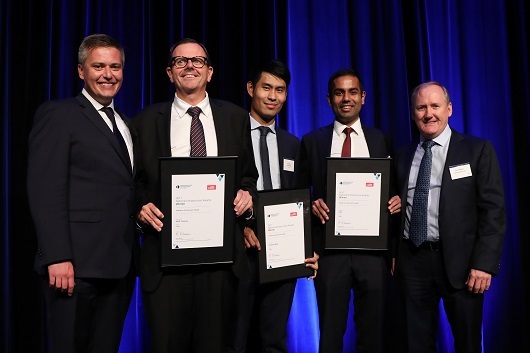 The Judging Panel recognised AECOM and BMD for the significance of automation at the nation’s largest container port, improving operational capacity and efficiency, and noted the port’s ability to handle larger capacity vessels. The Deans Head cliff remediation project responded to the significant damage caused by the 2010-11 Canterbury Earthquakes, which resulted in the risk of cliff collapse, cliff retreat, ground cracking and landslides. The Deans Head cliff remediation project, in the eastern coastal suburbs of Christchurch, New Zealand, involved the removal of an estimated 53,000 cubic metres of soil from the area, and a catch ditch and bund created below the 80 metre cliffs. The Judging Panel recognised the swift and technologically advanced response following the earthquake disaster, and the use of traditional earthmoving techniques supported by smart technology in the form of aerial photogrammetry, unmanned aerial vehicles (UAVs) and highly advanced 3D modelling, adapted for viewing in virtual and augmented reality. The Australian-first Groundwater Replenishment Scheme (GWRS) is a climate-independent water source which provides long-term water supply solutions to two million Perth residents. Under the GWRS, water from a nearby plant is treated to drinking water standard, and recharged into confined aquifers underground. A key feature of the GWRS is that water is banked before being pumped out some time later for further treatment and supply to Perth’s drinking water system, as opposed to being an ‘on use’ facility. The GWRS has increased water recycling on a large scale while reducing the volume of treated wastewater that is currently discharged to the ocean. The Judging Panel recognised CH2M, CPB Contractors and Water Corporation of Western Australia for their role in developing this innovative water storage solution to reduce WA’s reliance on climate dependent water sources. Sydney Airport’s new Integrated Operations Centre (IOC) is designed to provide a facility to enable responses to incident and emergency management. It uses the latest technology to ensure the safety, security and efficiency of the airport, utilising real-time, data-driven decision making to respond to changing airport requirements. The Judging Panel noted that in a world-first, the IOC combines landside, terminal and airside operations in one centre which shares data with key stakeholders in real time, allowing Sydney Airport to identify road traffic and other transport issues beyond the airport precinct, and therefore better manage access to the airport. The Sydney Airport Integrated Operations Centre was recognised for the clever use of smart technology to support the safe and efficient operations of the airport, through improved visibility of airport operations, enhanced communications capability and data driven decision making. The mega train demonstrated the ability to load, path and continuously tip a 1,250 metre export grain train. Almost double the length of conventional grain trains, the mega train ran from Moree and Narrabri to the Newcastle Agri Terminal at the Port of Newcastle. The project was a result of more than six years of planning and investment by the NSW Department of Primary Industry, Graincorp and Newcastle Agri Terminal, delivered at least a $5 to $10 a tonne reduction in hard costs for growers with the increase in payload and resulted in a three-fold increase in payload and resulted in a three-fold increase in network capacity, at no extra cost. Uber partnered with the Victorian Racing Club to create three custom-built UberZONES at key entry and exit points at the Melbourne Cup venue. These zones were placed in otherwise underutilised land within the racecourse. Uber’s technology was customised for the event, including the creation of geofences allowing for a ‘first in, first out’ system for Uber driver-partners, eliminating the need for a physical queue of drivers to make better use of tight spaces. The partnership also utilised data in real time to make adjustments throughout the event, and its presence alongside event transportation, public transport and police allowed Uber to use real-time data feeds to provide context to traffic patterns that weren’t apparent from CCTV alone. UberZONES was shortlisted by the Judging Panel because it utilised smart technology to enhance customer experience by reducing wait times for participants at the Melbourne Cup, and because of the wider applicability of the technology to future events. IPA thanks the Federal Department of Infrastructure and Regional Development for sponsoring the Smart Infrastructure Award. 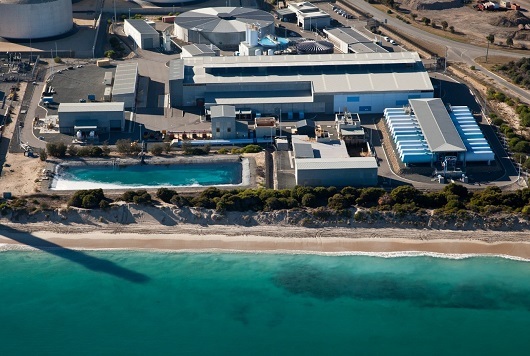 The $387 million Perth Saltwater Desalination Plant has provided reliable, high quality and cost-effective water to Perth residents, since it became operational in 2007, supplying residents with 45 billion litres of safe drinking water annually, representing around 18 per cent of Perth’s total water supply. Through the use of innovative technology, the plant ensures the surrounding environment is well protected, with surrounding marine life flourishing. The Judging Panel noted that the plant has been recognised as one of the most cost-effective desalination plants in Australia. In late 2004, Water Corporation called for tenders to design, construct and operate the desalination plant south of Perth as part of a broader strategy to diversify Perth’s water supply. The plant became fully operational ahead of schedule, and only two years after the contract was awarded. The length of closure of the section of the Frankston line was unprecedented, requiring alternative travel arrangements to be made. At the end of the 37 days of service suspension, Metro Trains Melbourne had secured 1.3 million passenger trips on alternative transport. Actual construction time was reduced by six months compared to the original schedule. 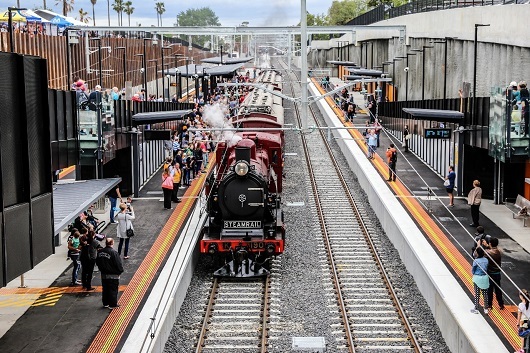 The Judging Panel recognised that Metro Trains Melbourne was an exemplary operator in the lead up to and duration of construction works, cooperating with the consortium to a high degree, which set a high benchmark for the removal of railway level crossings across the programme. St George Community Housing (SGCH) provides integrated services to the tenants of Newleaf Estate in Bonnyrigg, including tenancy management services, property maintenance, community development and communications. The Bonnyrigg Living Communities project was the first social housing Public Private Partnership (PPP) in Australia, however the original PPP was terminated in early 2015. Under the new arrangement, SGCH worked together with the NSW Government and Urban Growth to continue the project, with SGCH’s role broadened beyond tenancy management to encompass property maintenance and community programmes. The Judging Panel recognised SGCH for maintaining its customer focus – creating a vibrant and inclusive neighbourhood where community needs are prioritised – in spite of changing contractual arrangements with respect to the redevelopment of the estate. The $1.5 billion Westlink M7 is a 40 kilometre divided four-lane orbital motorway in Sydney’s western and north western regions, linking the M5, M4 and M2 Motorways. It was constructed and is operated as a Public Private Partnership, and Lendlease Services has provided all maintenance planning and delivery for the road. The motorway is managed by smart technologies, including the use of a custom developed video and audio data acquisition system which was built into an inspection vehicle, allowing network inspection data to be captured while travelling at motorway speed, minimising road worker safety risks. This automation has reduced the number of work hours required to complete inspections by 50 per cent. The Judging Panel recognised Lendlease Services’ focus on innovation in developing an approach to significantly enhance safety and efficiency, whilst continuously exceeding client performance expectations. IPA thanks NSW Treasury for sponsoring the Operator and Service Provider Excellence Award. The Plenary Health Consortium: Grocon, Honeywell, PCL Construction, Plenary Group; Victorian Department of Health and Human Services, Victorian Department of Treasury and Finance. 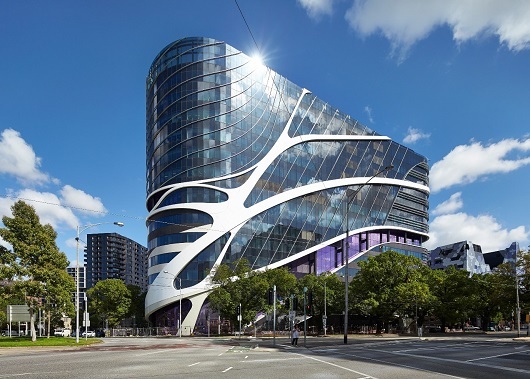 The $1 billion Victorian Comprehensive Cancer Centre (VCCC) is a purpose built centre of excellence of cancer research, treatment, education and care. The facility is home to cancer research, clinical services and educational facilities for Peter MacCallum Cancer Centre, Melbourne Health and the University of Melbourne. Delivered under a Public Private Partnership, the Plenary Health Consortium was contracted to design, build, finance and maintain the 13-storey facility under a 25-year concession. The consortium also delivered significant integrated future expansion capacity upfront and at no additional cost to the State. The Judging Panel shortlisted the Plenary Health Consortium for this placemaking project because, in addition to the partnerships demonstrated through construction and operation, the VCCC brings together leading cancer organisations to form the VCCC Alliance in a collaborative effort to focus on improving patient and research outcomes. The Judging Panel also noted that the Victorian Government signed a Memorandum of Understanding with the United States National Cancer Institute to encourage knowledge sharing between the jurisdictions in both cancer research and patient care. The $1 billion Gateway WA Perth Airport and Freight Access Project is the largest road project undertaken by Main Roads Western Australia, involving road and bridge improvements and local road modifications. It is designed to cater for an anticipated doubling of freight and container transport within the Kewdale Industrial Precinct by 2030, and the expected doubling of passenger air travel to and from Perth Airport. Work on the road network surrounding Perth Airport presented a variety of challenges for the project, including aviation considerations, high groundwater levels when working at the end of the airport’s runway, and live traffic conditions at one of the State’s busiest transport hubs. During the project, savings were transferred back to Main Roads WA for reinvestment. Subsequently, Gateway WA was awarded an additional $45 million package of works to upgrade the Roe Highway and Berkshire Road intersection into a grade separated interchange. The Judging Panel recognised the Gateway WA Consortium for their timely and cost-effective delivery of the project, which meant the project was delivered almost a year ahead of schedule and under budget. The $420 million Gold Coast Light Rail Stage 2 is a 7.3 kilometre extension to the Gold Coast Light Rail Stage 1 that opened in 2014, linking the light rail to Queensland’s heavy rail network. Stage 2 is funded through a partnership across three tiers of government – the Australian Government, the Queensland Government and the City of Gold Coast. Project procurement was led by the existing concessionaire, GoldLinQ, in partnership with the Queensland Government, with the procurement process for Stage 2 undertaken in less than eight months to ensure the light rail line would be commissioned ahead of the 2018 Commonwealth Games. The Judging Panel highlighted the successful partnership between the parties, recognising that this project was the first augmentation of an existing, operational Public Private Partnership, with the ultimate funding structure ensuring that the debt and equity for Stage 1 of the project was not altered despite the live construction of Stage 2. The Judging Panel noted the successful management of interface issues between the two stages of the project. The $2 billion High Capacity Metro Trains (HCMT) project will deliver 65 new trains, a new depot and service facility, to service the upgraded Cranbourne-Pakenham line in Melbourne. The HCMTs are expected to be delivered by mid-2023 and will be made available each day to the rail operator franchisee in accordance with the project’s availability and performance requirements. The Evolution Rail consortium has been contracted to deliver and maintain the new fleet, which is the largest ever single order of new trains in Victoria’s history, under a 30 year availability-based Public Private Partnership. With a 20 per cent higher capacity than existing rolling stock, the HCMTs can be rapidly reconfigured to provide between six and ten car sets, providing for current and future operational requirements. The Judging Panel shortlisted the HCMT project because of the Government’s interactive procurement approach, and the ongoing relationship between the Victorian Government and the Evolution Rail consortium, which resulted in significant value for money while being managed in a franchised rail environment. NSW’s Social and Affordable Housing Fund (SAHF) trials a new public housing model which uses PPP-like, long-term service payments to enhance the quality and efficiency of the beleaguered public housing system. The service payments, funded by the investment returns of the SAHF’s $1.1 billion initial endowment, see the CHP-led consortia bid on the cost of integrated and coordinated ‘housing plus wrap around services’ basis – making the public housing system about residents, not assets. The Judging Panel recognised that the SAHF represents a unique and innovative partnership between the government, private sector and community sector to work collaboratively to address the social housing shortfall in NSW. IPA thanks NSW Premier and Cabinet for sponsoring the Government Partnership Excellence Award. The NSW Treasury and its financial advisors, Deutsche Bank and UBS, used the comfort of the market price discovery provided by the rejected bid to allow the state to assess the value for money posed by an unsolicited direct bid from IFM Investors and AustralianSuper. The Judging Panel shortlisted the Treasury, UBS and Deutsche Bank for financial excellence, because their advice saw the transaction completed for a sale price of $16.2 billion for 50.4 per cent of Ausgrid on 16 December 2016 – just four months after the initial process was rejected. The $9.7 billion lease of the Port of Melbourne was completed in September 2016 and is the largest ever transport infrastructure privatisation in Australia. While the privatisation of the port was a commitment from the Government and Opposition, the transaction faced substantial political debate and focus – and gathered around changing key aspects of the structure of the transaction. 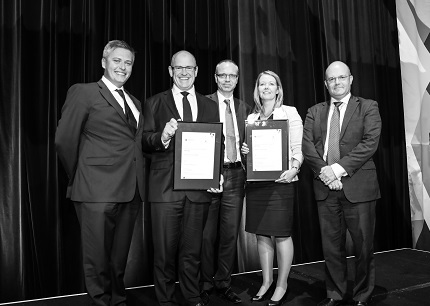 Morgan Stanley and the Victorian Treasury were recognised for Financial Excellence for their refinement of the transaction structure to balance the need for long-term bidder certainty against the state’s need for flexibility in bringing a new, potentially competing port to be developed in the future. Proceeds from the lease were hypothecated into the Victorian Transport Fund which is funding transport initiatives including the Level Crossing Removal Project, the Melbourne Metro and the Western Distributor. The Commonwealth’s Moorebank Intermodal Terminal suffered from a high degree of political debate about its structure and form – initially with two competing alternatives – one public, and one private. 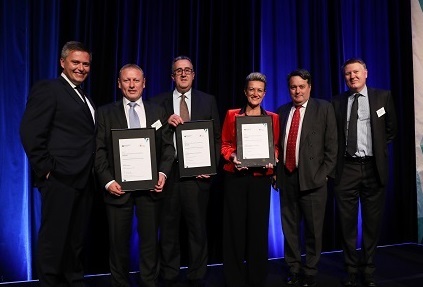 The Judging Panel shortlisted the Commonwealth’s Moorebank Intermodal Company (MIC) and the private sector Sydney Intermodal Terminal Alliance (SIMTA) for Financial Excellence, after they refine two initially competing projects into a single, coordinated plan to meet Sydney’s freight needs. The deal sees Commonwealth funding and financial risks reduced to a land contribution and limited funding for a rail spur to the Southern Sydney Freight Line; with SIMTA to fund the remaining circa $1.5 billion in development costs over the decade. The Powering Australian Renewables Fund (PARF) is an investment vehicle established by AGL in partnership with QIC in July 2016 to develop, own and manage a target of 1,000 megawatts of large-scale renewable energy infrastructure assets and projects. Once fully invested, the PARF will have funds totalling $2-3 billion with AGL and QIC providing $200 million and $800 million in equity, and the balance from debt raised at a project-by-project level. 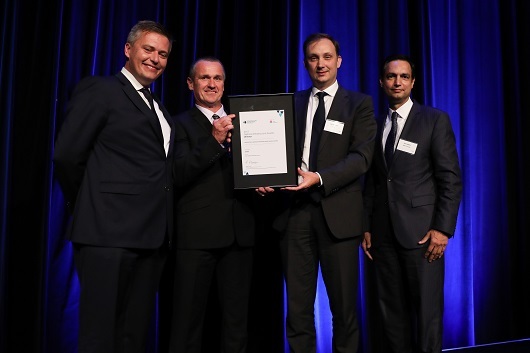 QIC is recognised for Financial Excellence for their contribution to the development of an investment framework which appropriately allocated risk between capital providers and electricity offtakers. Delivered under a Public Private Partnership, the Plenary Health consortium was contracted to design, build, finance and maintain the facility under a 25-year concession. Project refinancing was achieved just four months after the facility opened, on time and on budget, in June 2016. The Judging Panel shortlisted Plenary Group for the Financial Excellence Award because while largely reliant on bank debt for financing, the project achieved the longest tenor of bank debt of this volume in the Australian market since the global financial crisis. IPA thanks John Holland Group for sponsoring the Financial Excellence Award. The service payments, funded by investment returns of the SAHF’s $1.1 billion initial endowment, see CHP-led consortia bid on the cost of integrated and coordinated ‘housing and wrap around services’ basis. EY was recognised for its commercial, financial and services advice to the State – structuring the SAHF to deliver more dwellings and better services. 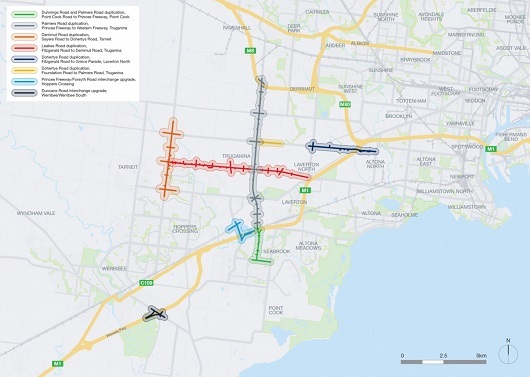 Victoria’s Outer Surburban Arterial Roads (OSAR programme is an Australian-first, deploying private finance into the operation, maintenance and staged expansion of strategic road corridors in Melbourne. A shortlist for the first, $1. Billion western package – which sees eight high-priority road upgrades combined with road maintenance across more than 700 kilometres of road corridor between Werribee and Footscray – was announced in early 2017, with construction expected to begin in 2018. The Judging Panel recognised EY for advisory excellence in refining the structure of this pathfinding procurement – which breaks new ground in performance and value for money for existing brownfield road networks. The $2 billion High Capacity Metro Trains (HCMT) project will see the Evolution Rail Consortium deliver 65 new trains, a new depot and service facility to service the upgraded Cranbourne-Pakenham line in Melbourne. EIG and PwC were shortlisted by the Judging Panel because of the short procurement timeline – with just 17 months between EOIs and financial close – with the procurement managing complex local content requirements, while still providing value for money. Transurban’s Melbourne Road Usage Study provided a landmark synthetic trial of how different road user charging models affect driver behaviours in the real world. Using a large sample of 1,600 drivers, the study collected over one billion data points across 1.2 million trips, using on-vehicle GPS and ITS systems. The study considered the observed and reported impact of distance-based and congestion-based charging models to user’s consumption of the road network. 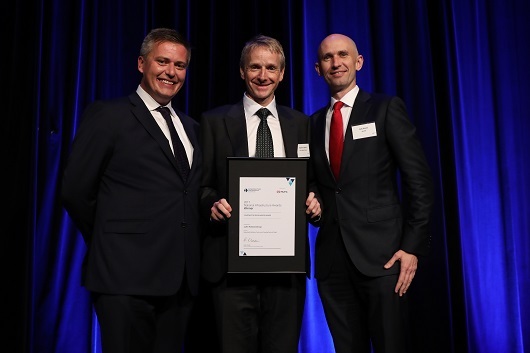 The Judging Panel chose to recognise Transurban for Advisory Excellence, noting the public benefit that has been provided through this world-first private and large scale trial of road user charging impacts, which has added valuable data to the road funding debate. IPA thanks Infrastructure Australia for sponsoring the Advisory Excellence Award.